I’ve been buying the competitors cases, both brands and after the merge. This case is now the one I buy. This is the best case that I have ever purchased. Much better than the others that I have bought. I like the rubber wheels and rubber on the carry handles. Good sides, good foam. Holds two long guns. Would definitely buy again. This was my first of now many RTIC product purchases. I used the case for the first time a couple weeks ago as i traveled with my rifle for a hunting trip. I held up great, and was very easy to roll around at the airport. All my friends want one now. You will not regret this purchase. I am very happy with this case. Ordered the 53”... omg this case is awesome! Super sturdy, incredibly well built. Latches are great and the rolling wheels are as well. Ordered it on Friday and it was delivered on Saturday. Gun case is very nice well worth the money! Now rtic needs to make a bow case I'll pre-order the first one. Great job rtic thanks for the quality at a great price! This is a monster, it will protect your babies well. This was heavier that I anticipated, but for good reason. 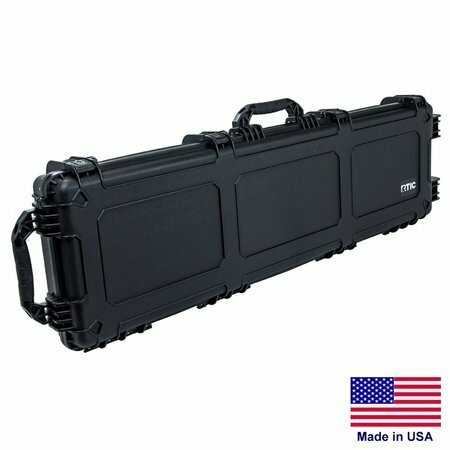 The build quality is second to none and this case holds my AR-15, a Henry 22, and one other rifle with a scope with ease. Got my 53” hard case right on time. Two day shipped free. Case is fantastic! Love this company! I have been buying the Pelican cases for years and decided to try the RTIC. I could not be happier! Excellent case, very high quality. The 2-stage latches are very nice and lock in the up position out of the way for closing the case. Rubber wheels and overmolded handles are soft. I fit a scoped precision rifle, a scoped AR, a bipod, 4 mags, bolt, earmuffs and glasses in this case. Well played RTIC! That is all. Just received in mail last week, super nice cannot wait to get my Ruger Precision Rifle fit nice and neat inside! I got this case on pre-order and have used it a few times now and it stacks right up to the "P" brand's bad weather case for quality. 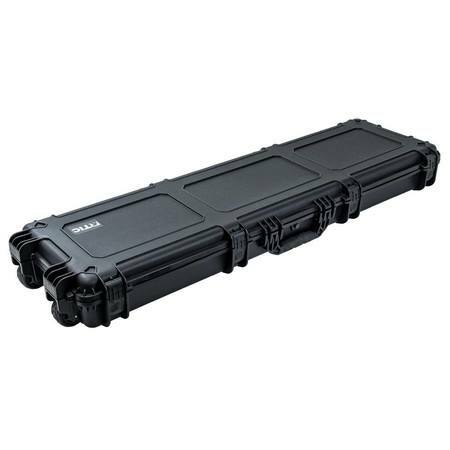 The hinges are easy to use and secure and the case is heavy duty but doesnt weigh a ton. It holds my 28lb rifle securely and perfectly even with the brake it fits which is something i couldn't do with p brand. The only halfway down side i could find with it if im really digging for one, was no metal locking points for a padlock and no nameplate spot like other high end cases. The center foam was 2 layers which has some merits and some downsides depending on your preference. Overall yes i'd buy it again before i buy P brand without hesitation. Its the quality you'd expext from RTIC, i havent had a bad product or disappointment from them yet, and im picky about my rifle cases and beer coolers. I have been buying RTIC products for 2 ish years now and I have been greatly impressed by every single thing I've bought this purchase makes no difference. This is very nice gun case and it’s second to none. I need/want another one. Thanks RTIC for another quality product. 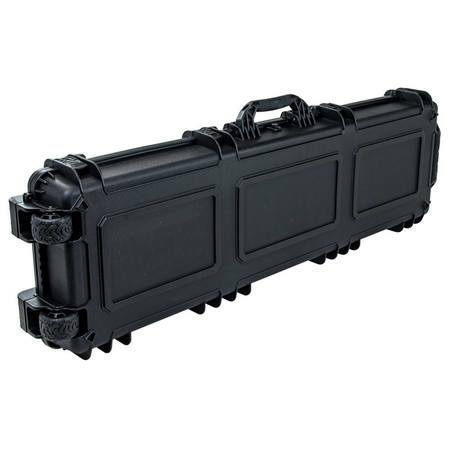 Great case, but you need one in a 36 inch length for AR's and other carbine rifles.